Ultra-High Performance. 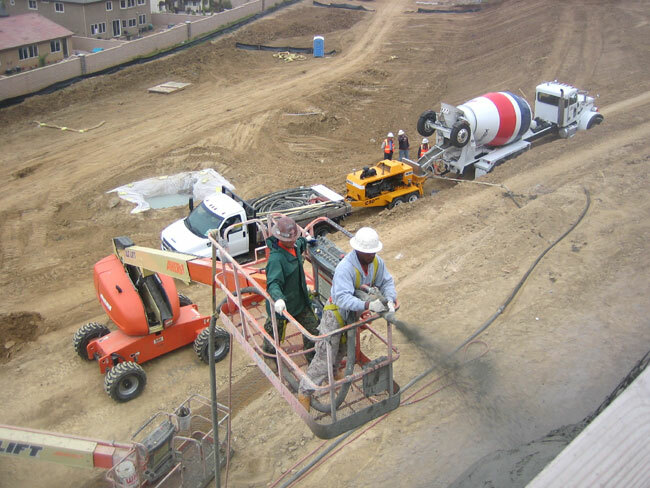 Concrete pressures up to 2000 psi, and up to 225 horsepower. Rexroth Closed-loop, Over-center hydraulic system. 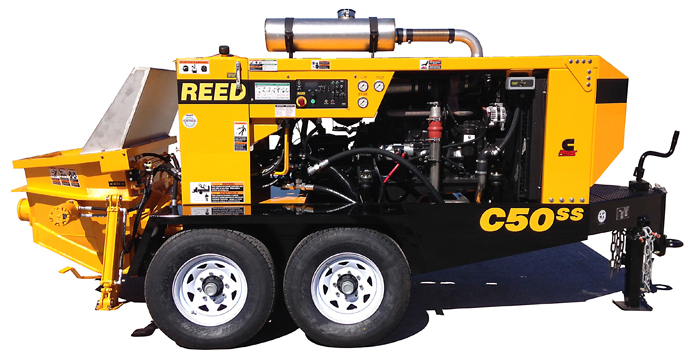 REED's most efficient and smooth-running trailer pump hydraulic system ever. Cummins Diesel Motors. These new engines are VERYPowerful (160hp or 225hp 6-cylinder), VERY Quiet, and VERY Efficient (low RPMs). REED PLC (Programmable Logic Controller). Allows for quick and easy diagnosis and analysis. Variable-volume and R.P.M. Controls at the optional remote control box. Twin-Shift Cylinders. For fast, powerful, even shifting with even the stiffest mixes. The Strongest Trailer in the Industry. There's 18" of steel between the engine and axle. Dual 7000 lb Axles. Provides the most durability possible. High-pressure Reinforced Hopper. For the toughest mixes.